Purchase Our eBook, available for you to purchase in the next 72 hours only. Pro-Sight is confident after you read the information you will want even more of our services. The $99 will be applied to your membership if you join within 4 months of your purchase. 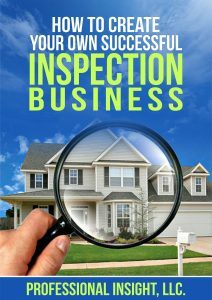 The key home inspection marketing techniques strategies. Marketing is key! Source for purchasing the best real estate agent contact list. Source for the best mass email blast provider for the money. In our opinion anyway. Source for the best way to keep track, and schedule inspections. And most importantly have your inspection agreement signed electronically online. Sources for home inspection insurance. Source for offering protection plans. These are an added benefit for people to use you, and it offers better protection for you as well. Sources for earning additional inspection revenue, not from home inspections.